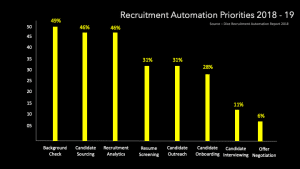 Recruitment market is a candidate driven market. We all know that good candidates are difficult to get and let’s agree that they don’t remain in market for long. In such competitive market you can not relax and you need to work on every possible hire strategy to close open job position in your company. Passive candidate souring is one of the top candidate sourcing strategies. In this article, we will look at how to recruit passive candidates. How passive candidates are different from active candidates. Why recruiting passive candidates could be a better hiring strategy. But let’s get started with the basics. What Is A Passive Candidate ? Passive candidates are the one who are not actively looking for the new job opportunities but don’t mind if a good opportunity comes by. Passive candidates are generally happy with their existing jobs. Hence, they seldom show interest in the new opportunities unless they find something more interesting or exciting than their existing one. Good opportunity could mean different things to different people. It could mean that the candidate could get to work on latest technology, or bigger brand, or it could mean shorter commute. You might ask why would one want to spend time in chasing candidate who is not actively looking for a job rather than pursuing candidates who are actually looking for job? That’s a fair question. Active candidates are actively looking for the job and as market trend suggests they may not stop after getting one job offer. They may clear interviews at multiple companies, get job offer from few and then join one in the end. On the other hand, passive candidates may not do that because they would pursue the opportunity only if they are genuinely interested in. According to LinkedIn 2016 US & Canada talent survey, 89% of the candidates are open to new opportunities , but most of them never get to know about new opportunities. Although, active candidates are relatively easy to find, you may not always get them to join your company. On the contrary, passive candidates are relatively difficult to find, but you have greater chance of closing job position with them. Hence, passive candidate sourcing could prove a better hiring strategy at times. If you are hiring for hard to fill roles, then attracting passive candidates could help you immensely. For hard to fill roles you don’t find candidates easily and hence you need to rely on multiple sourcing strategies. There are different ways and mediums to source passive candidates. You could leverage social media platforms or even your existing candidate database to build your passive sourcing strategy. Let’s look at some of these passive candidates sourcing strategies. Passive candidates won’t be searching for the jobs on job boards. They may not be browsing through career page of different companies. But they would be spending time on social media platforms like Facebook, LinkedIn, Twitter, etc. Hence, you need to work on catching their attention when they browse through social media pages. Using social media for recruiting is the new mantra. Share job posting on social media. Use images and bright colors rather than just simple text. Images and colors catch attentions of the readers quickly. As per CareerBuilder study 75% of participants said they decide on applying for the job basis appearance of the job post. Hence, take writing job description seriously. Write very good job descriptions. More the people read it better are the chances that you find your next hire. Focus on building relationships with social media audience. Share about how your company’s culture drives growth for its employees. Share your company’s recent achievements. Write about success stories of your employees. This will help you grow your brand and reach both. This eventually will help you to build great talent pipelines. 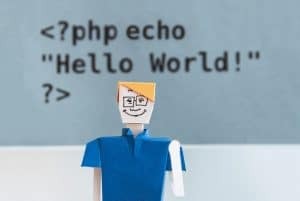 You could also find candidates on specialized platforms like GitHub, StackOverflow, Behance, etc. For most companies their existing recruiting database is almost dead. They don’t use it as effectively as they could. Company’s existing candidate database is a great source for passive candidates. If you are using modern applicant tracking system, ATS, then it could help you find most relevant candidates for the positions you are working on. Also, if you have built talent pipeline, you could use those to quickly reach out to candidates. Also, if you have maintained history about these candidates such as notes from previous conversations, their preferences in terms of job opportunities or their interview feedbacks, it would help you in reaching right candidates. Once you find candidates in your database, you could use recruitment marketing methods such personalized email campaign automation to help them know about most suitable opportunities for them. Also, you could simply call them. Just make sure it is more of a personalized communication than cold email or cold call. After you know you have identified suitable passive candidates and engaged them over emails, calls or in personal meetings, you should be able to figure out who is actually pursuing a new opportunity. Candidates who are interested in the new job opportunity would reply to your email or ask right questions over the call. With passive candidates you need to be more prepared. Find out about their social quotient using their social media profiles. Find if they have recently posted about any new certification they did or if they shared any recent achievement in their professional life. Share more insight about your company. For example, tell them how your company support flexible work hours or support their employees with day care facility. Share how your organization supports their employees in further studies. Basically you need to show how your organization is different than others. Most importantly, find out what they found interesting about the job opportunity. Why they want to consider it. Remember, passive candidates are satisfied with their current jobs. You need to hit sweet pot with what they are looking for. Recruiting passive candidates may sound like a lot of work but it pays off really well. You should take support of recruiting technologies like recruiting software or ATS, candidate sourcing automation, email campaign automation to save on time. You need to invest time into building relationships. Candidates often come back to you when they are open for new opportunities.